Get a $60 Visa prepaid card when you purchase a set of two select Road Attack 3 or Conti Tour tires. Get a $40 Visa prepaid card when you purchase a set of two select Dunlop tires. Ends April 30, 2019. Get to up $60 Visa prepaid card when you purchase a set of two select Bridgestone tires or up to $25 prepaid card for one tire. Save up to 20% off new ATV tires! 100 Percent Goggles: Spring Releases! 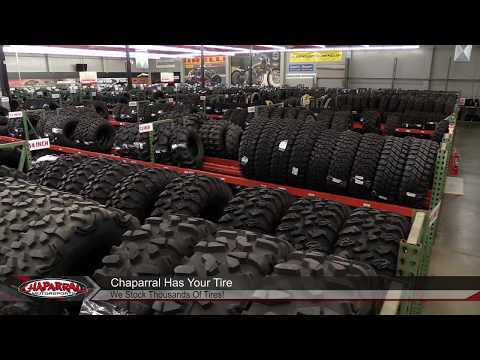 Why buy from Chaparral? With over 30 years in the industry, Chaparral Motorsports knows a thing or two about motorcycle gear, tires, and motorcycle parts. When you shop with us, you get a secure, hassle-free experience, FREE shipping options, and superior customer service. Not sure what you need? Chaparral Motorsports has customer service representatives available to take your call. If you're unsure about the motorcycle, ATV, UTV or scooter part or accessory that you need give us a call, toll free, at 1-800-841-2960 or connect with us on Live Chat. Motorcycles, Street bikes, Dirt bikes: We are your store for every type of motorcycle riding. Shop the latest in helmets, jackets, boots, and more with confidence thanks to our easy Return policy and Lowest Price Guarantee. You won't find a better selection of motorcycle apparel, motorcycle helmets, and motorcycle accessories. We have new search options that make it easier than ever to find the items you want. Buy or Finance Motorcycles, ATV. Did you know that you can buy or finance a new or used motorcycle, ATV or Side by Side from us? 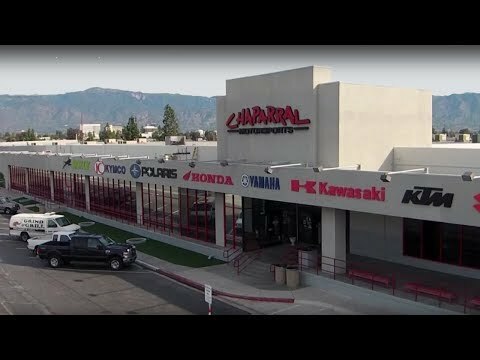 Chaparral Motorsports is a Honda Dealer, Yamaha dealer, Suzuki dealer, KTM dealer, Polaris dealer and Can-Am dealer. Our 160,000 square foot motorcycle dealership displays the latest models and colors of most motorcycles and ATVs from top manufacturers. FREE shipping options on motorcycle gear and parts! You won't find a better selection of motorcycle gear like helmets, jerseys, jackets and boots for you, and the motorcycle parts and accessories for your ride. We stock thousands of motorcycle parts, and a huge selection of top brand motorcycle gear. In addition to free shipping, get rewarded for shopping at Chaparral Motorsports with our Pit Pass Rewards Program.